In 2014, Erin Mykleby received the Master’s Degree in Sports Management from the University of Iowa. 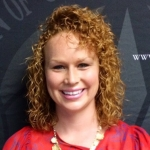 She was a teaching assistant, as well as a supervisor with the undergraduate Sports Business Internship program. As a Learning Assistant, Erin gained a lot of experience working with student-athletes on a face-to-face basis.